Crafts studios where you can meet our talented artisans. Gifts, clothes, Norfolk food and fudge. Plant & Rose Centre. 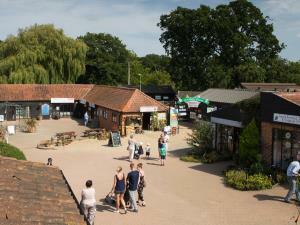 Meet the farmyard animals on Junior Farm with fun daily activities. Children’s Funfair and Mini Adventure Golf Course.